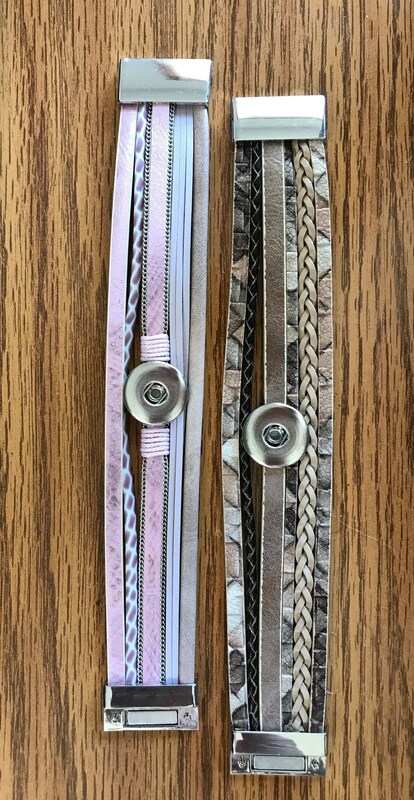 This listing includes a beige and pink themed interchangeable snap bracelet. You may choose one or both of the bracelets. 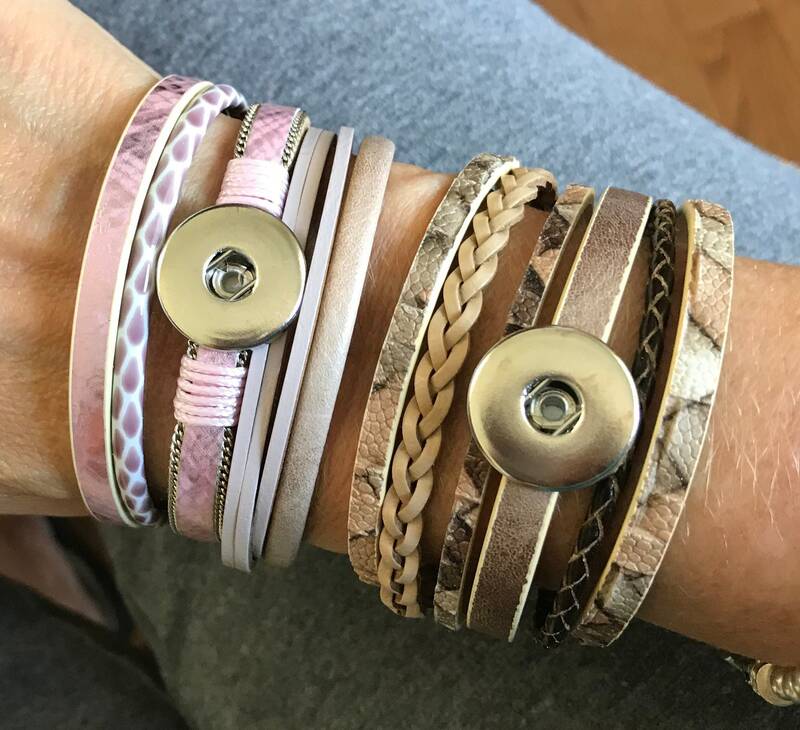 The bracelets close with a very strong, durable magnetic closure which snaps closed. They are really stunning and feature several "leatherette" straps which give a "stacked" affect.